Superhuman Samurai Syber-Squad was an Ameritoku show released to cash-in on the Mighty Morphin’ Power Rangers craze. It used footage from Denkou Choujin Gridman and just like Power Rangers took out the Japanese actors and replaced them with American ones. But was this rip-off show any good? The show deals with viruses entering electronic devices and causing trouble because the evil Kilokahn wants to control not only the digital but the real world. He uses a hacker to make virus programs to attack important infrastructure in the real world. To save the world you have the cast of Saved by the Bell, or at least somewhat similar who find a way to get into the digital world and fight these monsters with a program called Gridman that grants Sam superpowers. So you have Saved by the bell style plots with giant monster fights inside electronics along the ride. The fights are awesome and the inside of digital worlds are cool and very techno-punkish. In fact all those neon colors fit right in on any Rave. I’m a huge fan of people going inside digital worlds and this show makes the most out of it. The american footage is extremely 90s but it almost seems like a parody written many years later. It somehow clicks and makes you feel nostalgic instead of it just being badly cheesy. 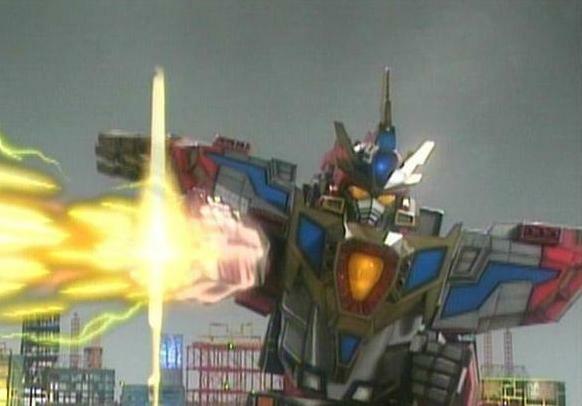 The show has cool power ups, you get a huge ship and cannon that can transform into a Dragon and said Dragon can be used as armor for Servo, the hero program. 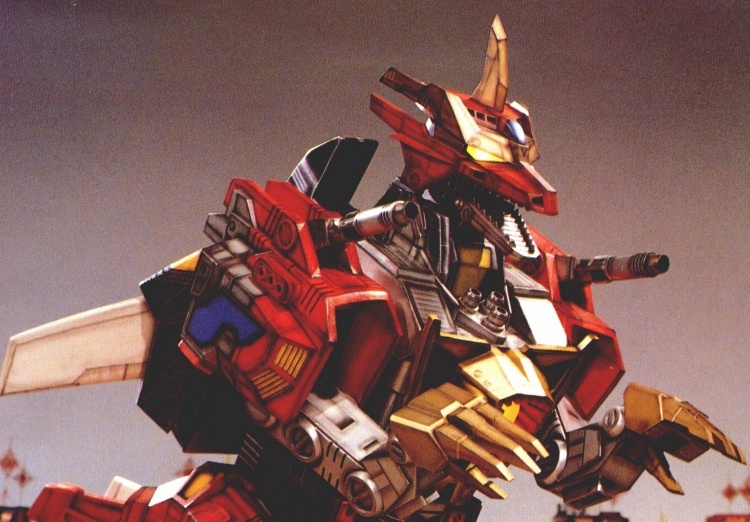 You also have three random ships that are programs piloted by Sam’s friends and they can also join together and transform into a mecha and fight alongside Servo or just like the Dragon they can be used as armor for a more powerful Servo form. The show lasted for 53 episodes while Gridman was only 39 episodes, so they had to recycle a lot of footage. Luckily I wasn’t able to usually tell if he’s fighting a re-used monster or not. Some I know because they explicitly mentioned “oh, we’ll use this old virus again”. Also, they would mention “save the virus for another battle” and they wouldn’t finish the fight. Sometimes I noticed but it didn’t seem to hurt it a lot. 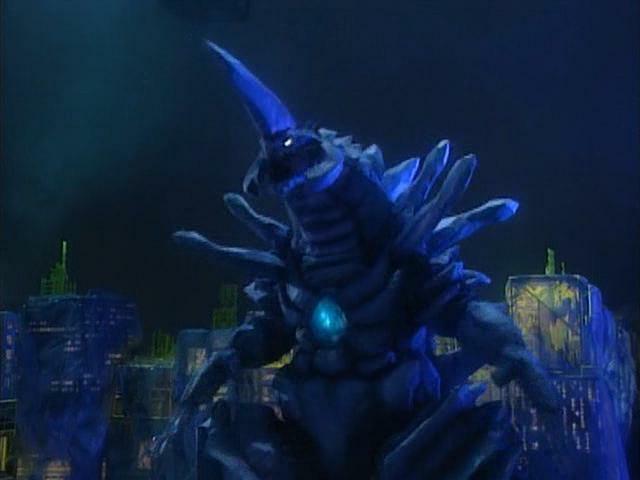 Unlike other tokusatsu shows that had american adaptations Superhuman Samurai Syber-Squad did in fact adapt the final episode, but to our bad luck, they decide to have convoluted explanation to have things go back to status quo. The show also doesn’t explain things very well, like I’m not talking about how exactly a virus gets into random electronic devices or cause half the stuff they do in episodes; I can suspend disbelief for that but how exactly did Sam get his powers? I never quite understood nor how the other three got the other “programs” that help servo or why they don’t go ahead and help servo early in the beginning instead of just joining. 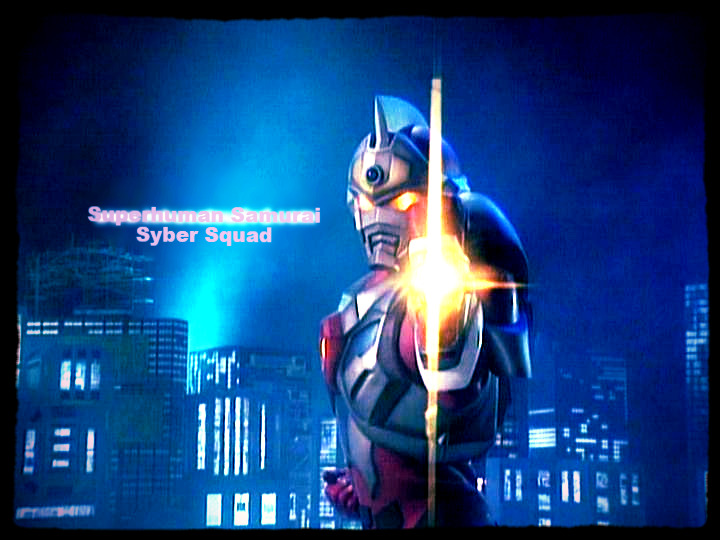 I have to say that I enjoyed every second of Superhuman Samurai Syber-Squad, I remember loving it as a kid but it stopped airing and I was wondering how much I’d enjoy it now as an adult. Well some parts are still pretty damn awesome and most of the High School segments definitely reek of the 90s but in a so bad it’s good kind of way. Without the nostalgia it’s probably not a great show but it represents the 90s so well that I love it. The whole stuck in a digital world is a plot that I absolutely love and hope it’s used more in the future, sadly it isn’t usually seen in fiction. This show mixes the best things that you enjoy about tokusatsu and the 90s and is up there with Mighty Morphin’ Power Rangers season 1.